Rib and thoracic pain are common complaints that we encounter often in our clinics. Many conditions like Carpal tunnel syndrome or Thoracic Outlet syndrome have direct associations to first rib subluxations and the resultant brachial plexus entrapment. Rotated thoracic vertebrae can “twist” the ribs and cause intercostal thoracic pain. With this course, learn to assess ribs for respiratory, torsional or subluxation restrictions. Use osteopathic muscle energy technique to normalize function and understand which associated muscles need treatment. Understand how to use special tests to confirm your diagnosis or to unravel difficult signs and symptoms. 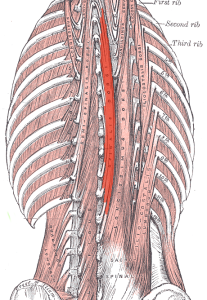 Learn how to access deep thoracic muscles such as the splenius thoracis, which directly cause pain and dysfunction. Take home techniques that you can directly apply and integrate into your practice right away.